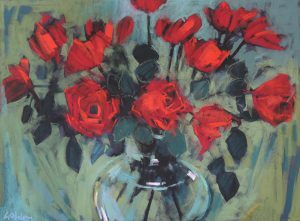 Lynn was born in Hertfordshire and trained at St Albans School of Art. 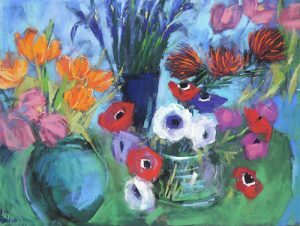 She moved to Cornwall in 1976, where she lives and paints today on the Roseland Peninsular. 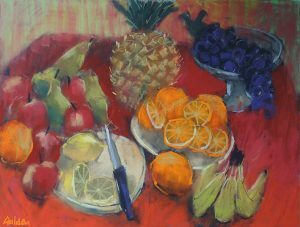 She has exhibited extensively across the UK and also in Barbados. 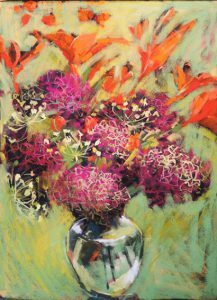 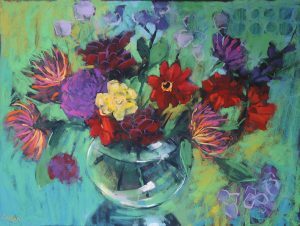 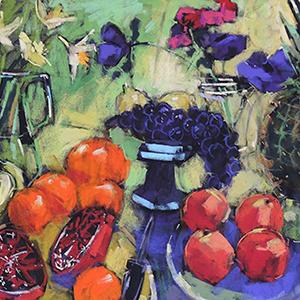 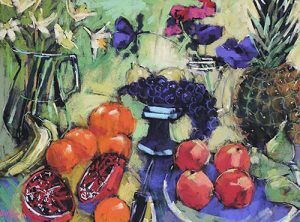 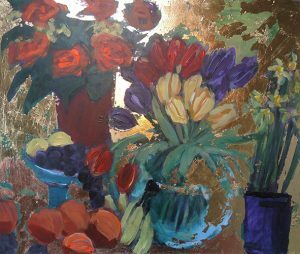 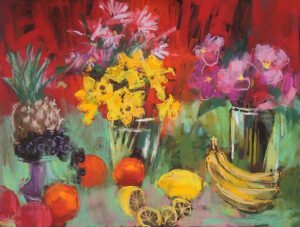 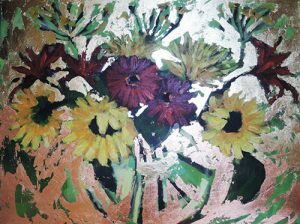 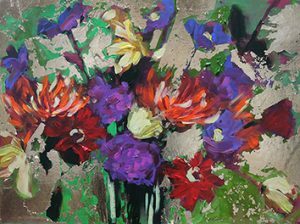 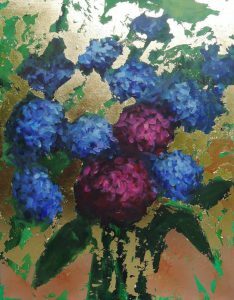 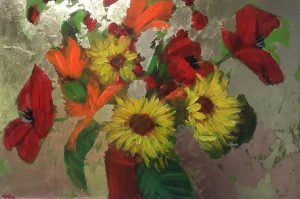 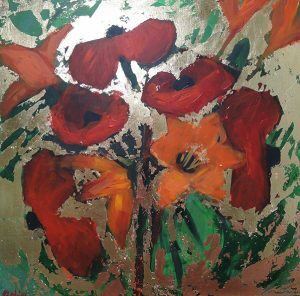 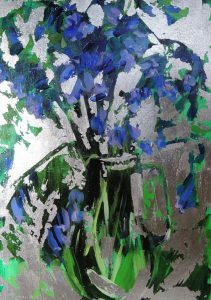 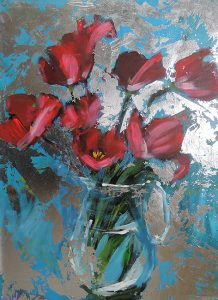 There is a distinct division in Lynn’s unmistakable work between her floral still life pieces and landscapes. 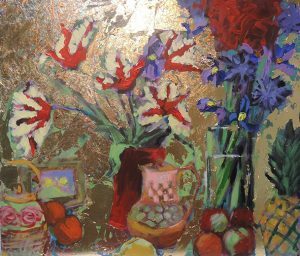 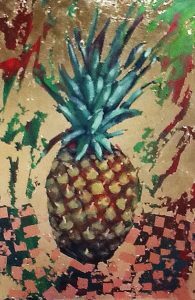 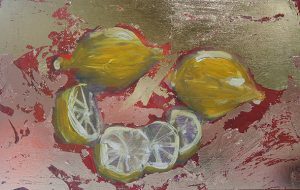 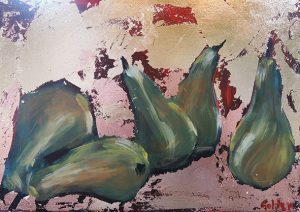 The still life paintings are made both outside in their natural environment and within the studio. 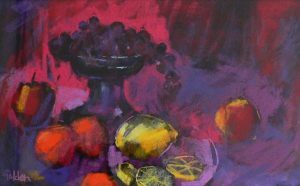 Lynn uses dry pastel worked into a dark abrasive surface to achieve a mesmerising depth of colour and strength of form. 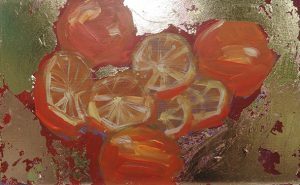 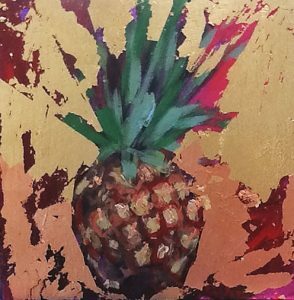 Regular trips to Barbados have inspired the use of metal leaf, which evokes the play of light around her subjects and creates a unique vibrancy. 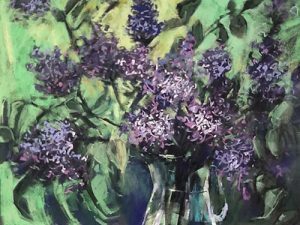 Lynn’s landscapes by contrast are made ‘en plein air’, capturing the changing elements and dramatic ambiance of the south Cornish coast. 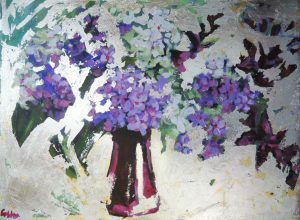 The glow of summer, carpets of wild flowers, rugged headlands and the restless sea all make their presence felt.